The Suzuki methodology includes two fundamental parts that go hand-in-hand, giving the children a well balanced experience in music in two complementary but different classes: Private lessons are essential for one-on-one attention and correction. Group class not only teaches children how to work musically together with their peers, but also inspires, ingrains, and repeats what is taught in the lessons - this time with fun games to increase repetitions which are necessary for young ones to learn. Lessons can begin at any time of the school year as long as capacity exists. All late registrants will be charged pro-rated fees. Lessons are tuition based - meaning everything is combined and divided into twelve equal monthly payments. 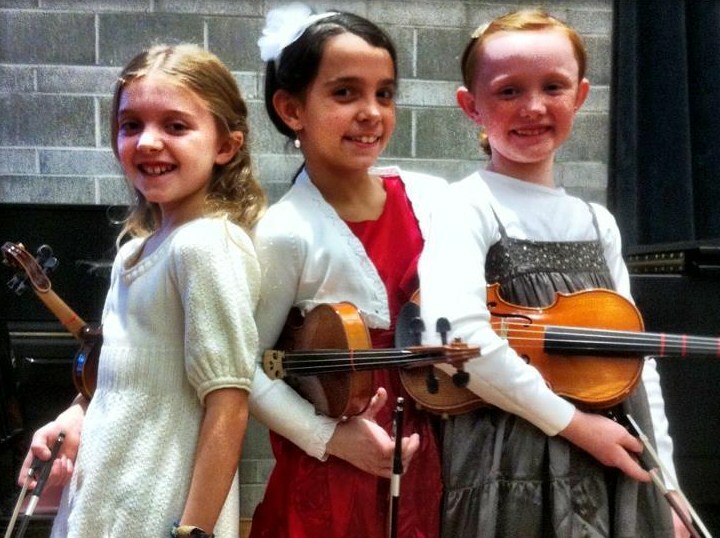 Tuition includes 36 private lessons,* 24 group classes, 4 recitals and 2 parent classes. Dates extend each year from the second Monday in September (Sep 10 2018) to the last Friday of July (July 26th 2019). Make-up lessons may be scheduled during holiday times if required. If there is a school holiday, there will be no lessons given. Beginners start with 30 minutes, and increase in time as focus and ability grows. Parents enjoy being a part of private lessons, and learn alongside their child. Though you are encouraged to take notes, we send you a weekly follow up of each class given, as well as a video of your private lesson - available only to you or those whom you choose to share it with. These 60-minute, bi-monthly group classes run in conjunction with private lessons. Be prepared to dance and sing, move and even play violin with your children in these fun but intense classes! Class sizes are no less than 3 and will not exceed 9 children. Classes begin the last Thursday of September (September 27th) to the last Thursday of June (July 27th). Tuition is due on the 1st of every month and can be made by postdated cheque, e-transfer or in cash. Withdrawl from the program is accepted only at two points in the year: Before our last concert in December, or late June. My goal is always fairness in all things, and in extraneous situations, refunds may be considered but are not guaranteed. * Lessons cancelled with less than 24 hour notice will not be made up, and reschedules are not guaranteed.